Find all of your searches that match the item according to: eBay Site, Category, Minimum Price, Maximum Price, Item Condition (and the optional local search criteria of Postal Code and Minimum Postal Cost). Then, for each of your searches that matches those criteria, it runs your search terms against it to look for a match. The number of items that your searches are run against. The number of times your search matches an item that it is run against. Reducing the number of items that your search is run against by using the criteria: eBay Site, Category, Minimum Price, Maximum Price, Item Condition (and the optional local search criteria of Postal Code and Minimum Postal Cost). Reducing the number of times your search matches an item by improving your 'seach terms'. Each 'word' in the 'Search Terms' box is a search term - words are search terms. If you use the letter 'a' as a search term then you search will match items with the letter 'a' in the item title. If you use the word 'calendar' as a search term then your search will match items with the word 'calendar' in the title. Add a 'subtract' character ('-') to the beginning of a word to exclude items that contain that word. Put a series of words into double quotes to only find items that contain that phrase. "explore canada" Explore Canada by Ian Visitor Explore: Canada by Ian Visitor must contain the phrase "explore canada"
"ian visitor" azerbaijan -canada -"hiking in azerbaijan"
As with Ebay itself, you can create search that use 'OR' logic. will search for items that include the word 'samsung' AND the word 'galaxy' AND either of 's4', 's5' or 's6'. samsung (galaxy,galazy) samsung galaxy samsung galaxi must contain one of either 'galaxy' or 'galazy'. In order to help you define your searches accurately, we suggest that you restrict a search to some selected eBay category or categories. eBay has multiple category levels. Typically there are 35 top level categories on an eBay site, but a total of around 15,000 categories beneath those 35. Setting a search against a top level category is similar to searching about 400 subcategories. At the time of writing there are 1,481,540 items in 'Toys & Games', but only 16,200 items in 'Comic Book Heroes'. This means that, if you restrict your seach to 'Comic Book Heroes' you will use about 1% of the search credits that you would use if you searched in 'Toys & Games'. 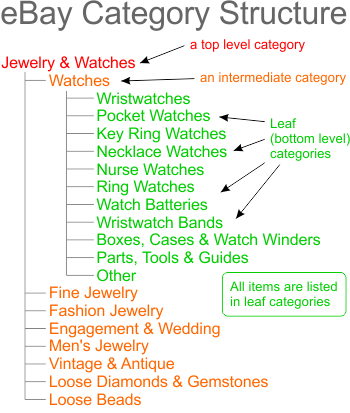 All eBay items are listed in 'Leaf Categories' - these are bottom level categories that do not have subcategories. Items cannot be listed in categories that have subcategories - however, you can find items by searching categories that contain other categories. So, rather than running one search in one top level category, you can use less credits by running searches in a number of the leaf categories. You can do this easily by adding additional bottom level (leaf) categories in the 'edit search' screen. Your search will be run against fewer items (and will therefore be cheaper) if you have a narrow price range, rather than a wide one (see How the Search System Works). For example, a range of $25-$30 may mean that your search is run six times less (using up about six times less credit) than a price range of $0-$30. There is no point having a maximum price set above the level of existing items that you are searching for on eBay - so keep your maxium price low so that you only get the bargains (unless you are looking for something rare, that you cannot currently find on eBay, and you are not worried about the price). Having an unrealistically low minimum price will waste your search credits - nobody is going to sell a gold coin for 10% of its real value - so be sensible with your minimum price. There are currently no such excluded categories.